San Antonio, TX – In the icy bodies around our solar system, radiation emitted from rocky cores could break up water molecules and support hydrogen-eating microbes. To address this cosmic possibility, a University of Texas at San Antonio (UTSA) and Southwest Research Institute (SwRI) team modeled a natural water-cracking process called radiolysis. They then applied the model to several worlds with known or suspected interior oceans, including Saturn’s moon Enceladus, Jupiter’s moon Europa, Pluto and its moon Charon, as well as the dwarf planet Ceres. A University of Texas at San Antonio (UTSA) and Southwest Research Institute (SwRI) team modeled a natural water-cracking process called radiolysis. 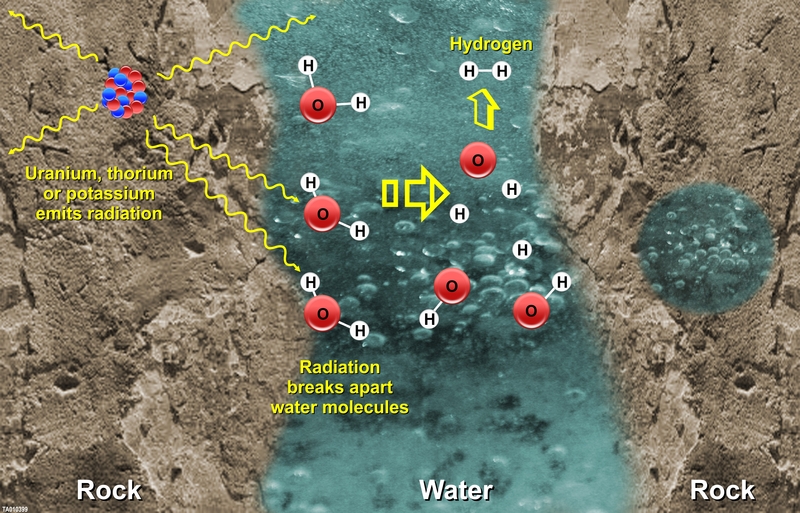 They applied the model to the icy bodies around our solar system to show how radiation emitted from rocky cores could break up water molecules and support hydrogen-eating microbes. In the icy bodies around our solar system, radiation emitted from rocky cores could break up water molecules and support hydrogen-eating microbes. 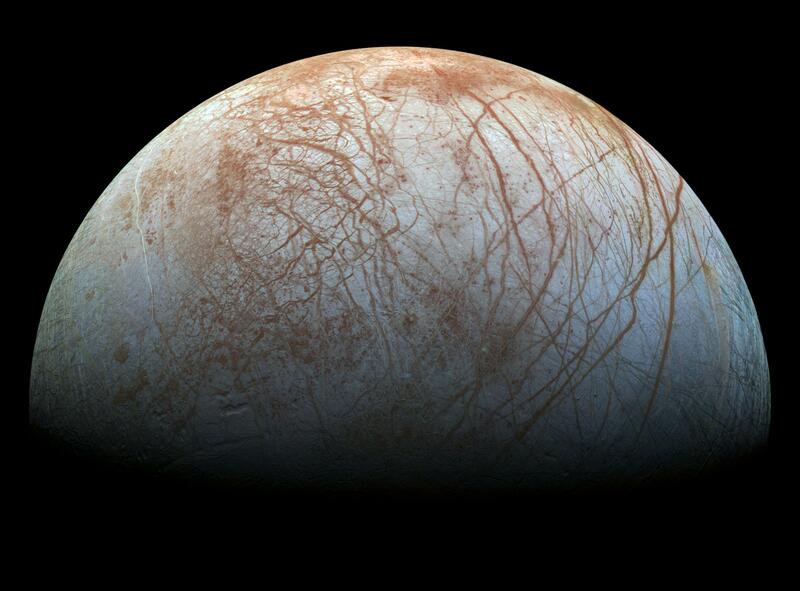 A University of Texas at San Antonio (UTSA) and Southwest Research Institute (SwRI) team modeled a natural water-cracking process called radiolysis and applied the model to Europa (pictured) and several other worlds with known or suspected interior oceans.